An employer who deliberately crushed his employee to death with his pickup truck has been arrested by police in Narathiwat’s Su-ngai Kolok district on murder charge. 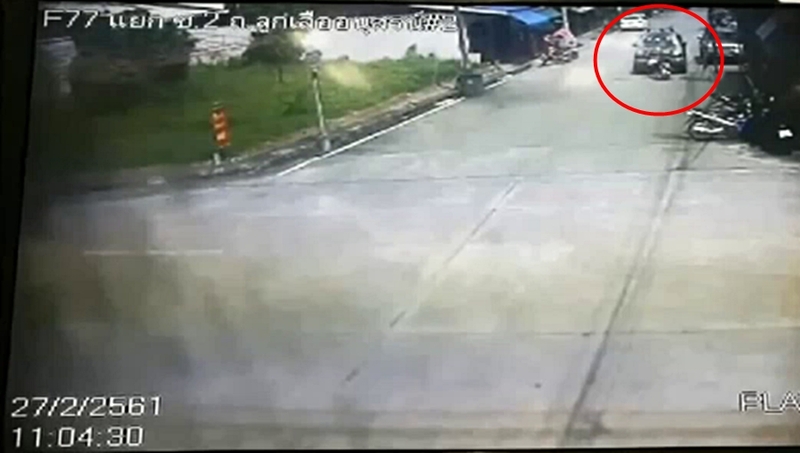 The suspect, Mr Sarote Lee, owner of the Muslim Karn Yang tyre shop, allegedly drove his pick-up truck to ram into his employee, Mada-oh Maba, as he was riding a motorcycle on Anusorn Looksua road in Su-ngai Kolok district, on Tuesday (Feb 27). 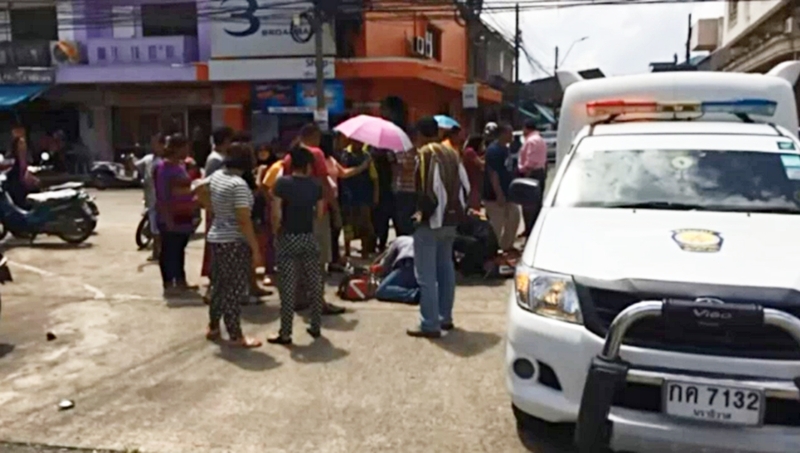 After the victim fell on the road with his motorbike, the suspect drove the truck to run over the former and sped away, police said. Police managed to identify the perpetrator shortly after they examined the CCTV system at and near the site where the victim lying dead in a pool of blood. Mr Sarote’s relatives told police that the suspect had mental problem, was paranoid and suspected that the victim might have an affair with his wife.